Let’s be honest—the previous generations of the Puma One have not been all that great. They lacked stability, felt too stiff, so on and so forth. 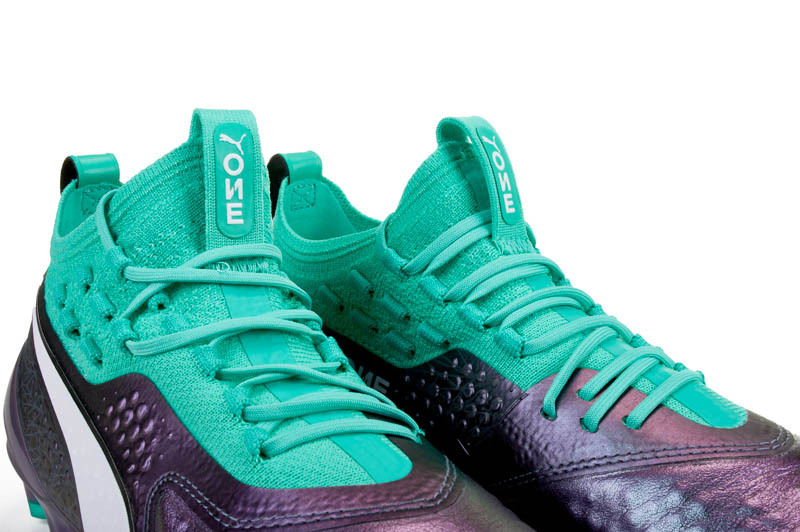 However, Puma have crafted something very special with the new Puma One 1; yes, you read that right. The One one. 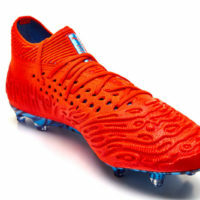 While it may sport a confusing name, this is actually one of the best football boots Puma have put out in the past decade and I’ll explain why. There’s only one thing that differentiates the One 1 Leather from the One 1 Synthetic and that’s the kangaroo leather toe box. Beyond soft and supple out of the box, the k-leather becomes even softer and more comfortable as you break in the boots. The bumpy-looking texture on the toe box is the internal support liner reinforcing the leather, which is a step up from stitched leather like we saw on the Puma One 17.1. We’ve even seen Adidas make the switch from a stitched k-leather toe box on the Copa 17.1 to an internal support cage on the Copa 18.1; it makes a pretty significant difference when it comes to durability. While the liner has a bumpy texture, you don’t feel the bumps on the ball or on your feet. Instead, you get a smooth, padded, soft kangaroo leather touch on the ball, and what more could you ask for? After putting the One 1 Leather through its paces, I’m quite impressed with how it performs. 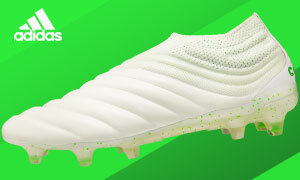 It feels more solidly built compared to previous generations, and even with the padded sensation you get from the kangaroo leather, you still get a close to the ball feel in true “speed boot” fashion. The front toe is reinforced with a sandpaper-feel material to protect that ‘sweet’ spot where the upper attaches to the soleplate, also know as the high wear zone. 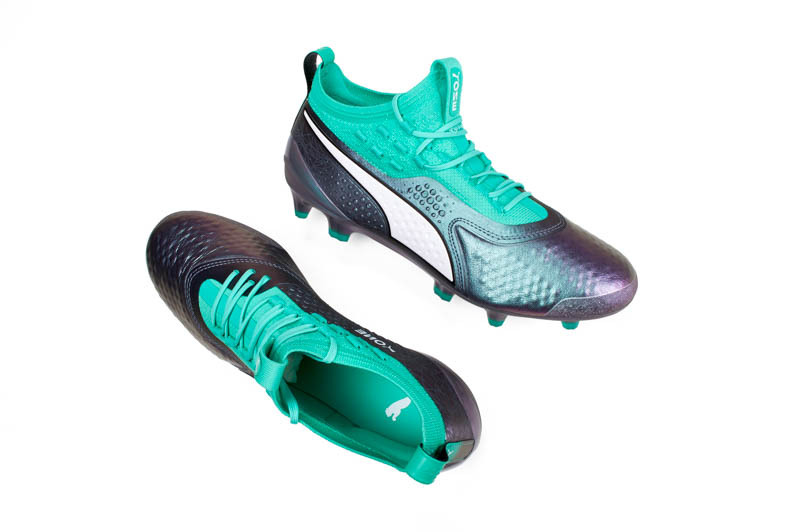 When cleats separate, this is typically where it happens, so Puma added a more rugged finish for better durability. Moving to the base of the boot, the One 1 features a RapidAgility soleplate and an external heel counter. This completely redesigned soleplate is very lightweight and responsive, unlike the previous generation’s which felt too stiff. This is a huge improvement as it provides much better flexibility especially through the forefoot area. As for the stud pattern, it is suitable for both FG and AG surfaces, something we’ve never seen before with the Puma One silo. 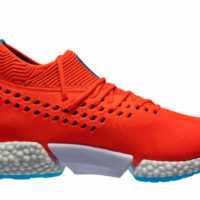 This outsole feels and performs almost identical to that of the Puma Future because the stud patterns are quite similar. The mixture of conical and bladed studs get great traction on natural and artificial surfaces so if you’re in the market for a great FG/AG boot, take a closer look at this one. 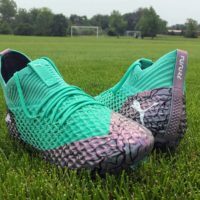 The unmistakable Puma formstrip on the lateral side of the boot adds much needed stability, something that was, yet again, lacking in previous generations. Because of this and the RapidAgility soleplate, the One 1 is a very stable and solid boot. All great speed boots produce amazing lockdown but what about this one? 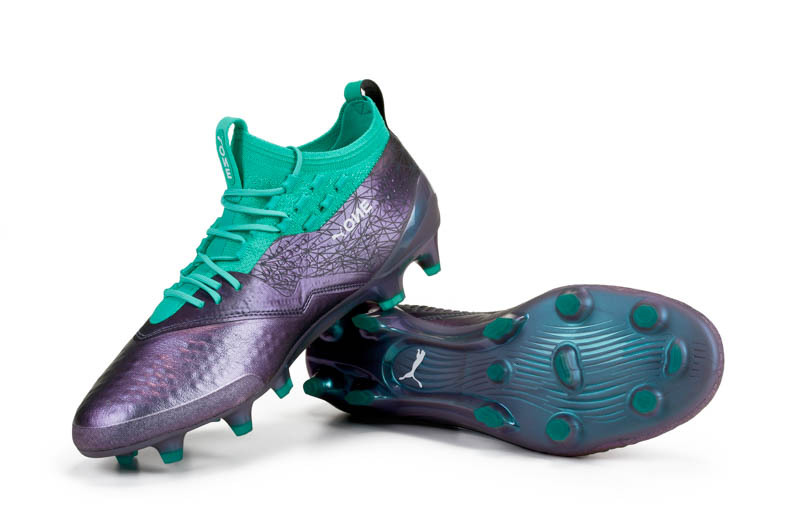 When the laces are tied tight, the Puma One 1 has great lockdown allowing you to take off down the pitch in a instant. This boot truly fits like a glove with no excess space for sliding around. Originally, I was worried how the FuseFit lace loops would hold up being made of evoKNIT, but the evoKNIT on the One 1 is much different than on the Future. This evoKNIT has clear plastic yarn threaded throughout it, which means it’s not as stretchy as you might expect it to be. It feels more durable and has more structure to it while still providing the sock-like feel that today’s game demands. The one-piece evoKNIT construction looks like a mid-cut collar but feels like a low-cut one, and the pull loops at the front and the back help you get the boots on easier. The six extra lace loops on both the lateral and medial side of the boot allow you to get extra heel lockdown if you feel you need it. I used them a few times and they really did make a noticeable difference in regards to how much lockdown you get. The synthetic suede heel liner is very comfortable and offers a great amount of padding to give you a comfy fit. Also, because of the thin fused synthetic material through the midfoot, you get a secure and tight fit like you would expect from a speed boot. However, there is a somewhat inconsistent feel since it is thin through the midfoot and padded at the toe due to the k-leather toe box. This wasn’t a major issue while playing but it’s just something to note if you’re looking for a uniform feel throughout the entire boot. In terms of width, this boot should fit most people with no issues despite being tighter through the midfoot. As for sizing, the One 1 runs true to size. Five years ago, the most expensive football boots cost no more than $225. Nowadays, it’s normal for boots to cost as much as $300. What that means is that the $200 Puma One 1 is a proper bang for your buck considering how much of a boot you get for the price. It delivers on that true speed boot feel with awesome lockdown, incredible responsiveness, and a lightweight feel. Not to mention, you get a buttery soft k-leather toe box and the compatibility of FG/AG traction. 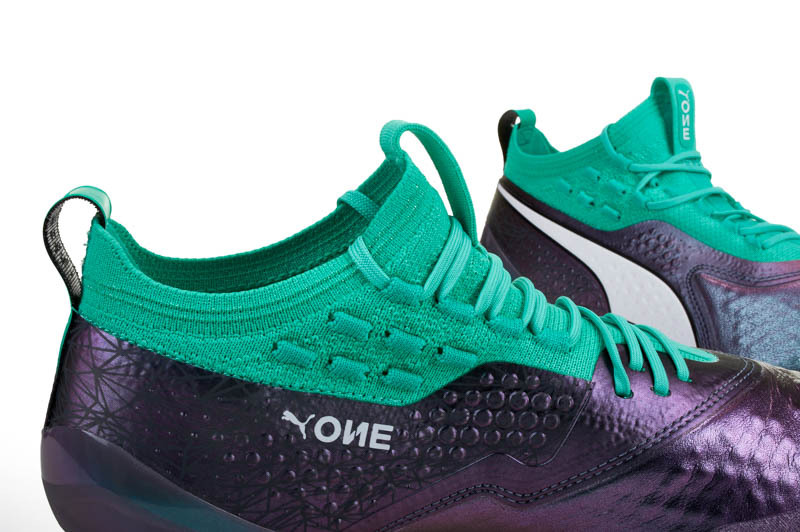 We’re stoked on how well Puma crafted the One 1, but we can’t help but look forward to the One 2 and then the One 3…that is, if Puma keeps up with this awkward naming system.